I like gnocchi but have never made them. Some homemade gnocchi which I have been given have had the consistency of semi-solidified Clag glue. I have heard this comes from overbeating the potato mix so the texture is modified. I found a recipe for pumpkin gnocchi and tried it at the weekend. Not having pumpkin, I substituted sweet potato. This is to make four servings. 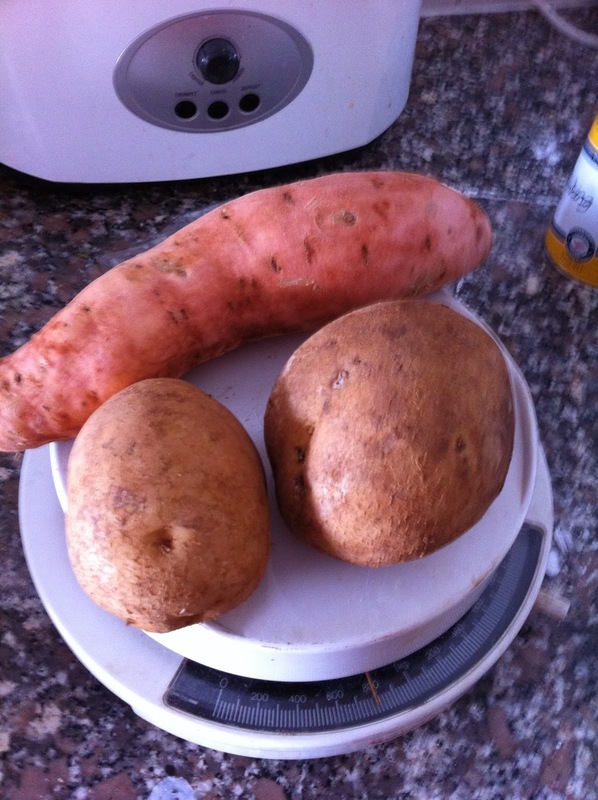 250 gm sweet potato or pumpkin and 500 gm ordinary potato. Scrub well but do not peel. Place on baking paper on tray and bake in moderate oven till soft. Mine took about 50 minutes but shape of potatoes will influence time. Allow to cool and then peel and place both types of potato in a large bowl. Mash, using a potato masher or solid fork. Do NOT add butter or milk and definitely do not use any mechanical means of mashing. Make sure the two types of potato are mixed together. Fold in 3/4 cup plain flour. Be careful not to be too energetic here. Use something like a wooden spoon. Sprinkle with salt and pepper. Place on lightly floured surface and knead till smooth, again being gentle. 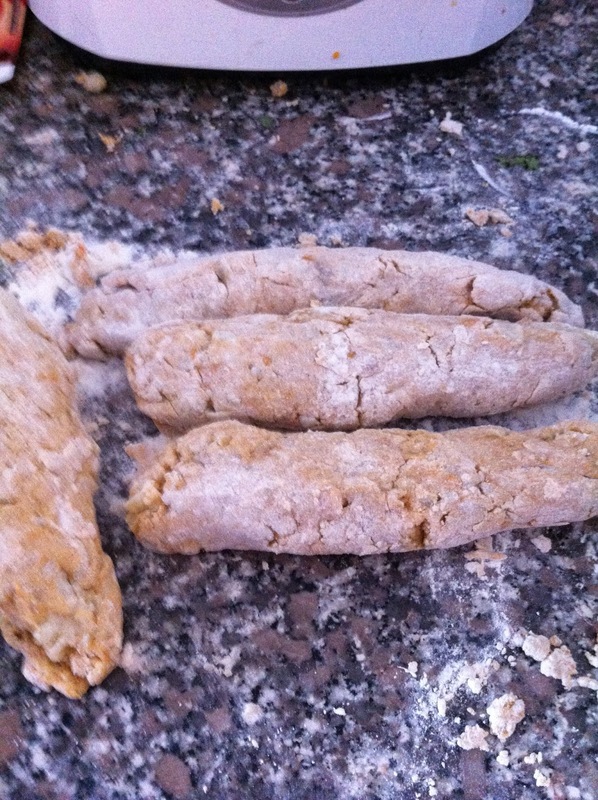 Divide dough into four and roll each portion out into a long roll about 2 cm in diameter. Using a floured knife, cut dough into slices about 2 cm thick. I found this was too thick and suggest making them a bit thinner. Roll over the back of a floured fork to give s slightly rounded shape and the impress of the fork onto them. Bring a large saucepan of salted water to the boil and add about a quarter of the gnocchi. Cook about two minutes or until they float to the surface. remove with a slotted spoon and keep warm while cooking remainder. Serve with leek and basil butter sauce. Sauce recipe: Melt 40 gm of butter in pan. 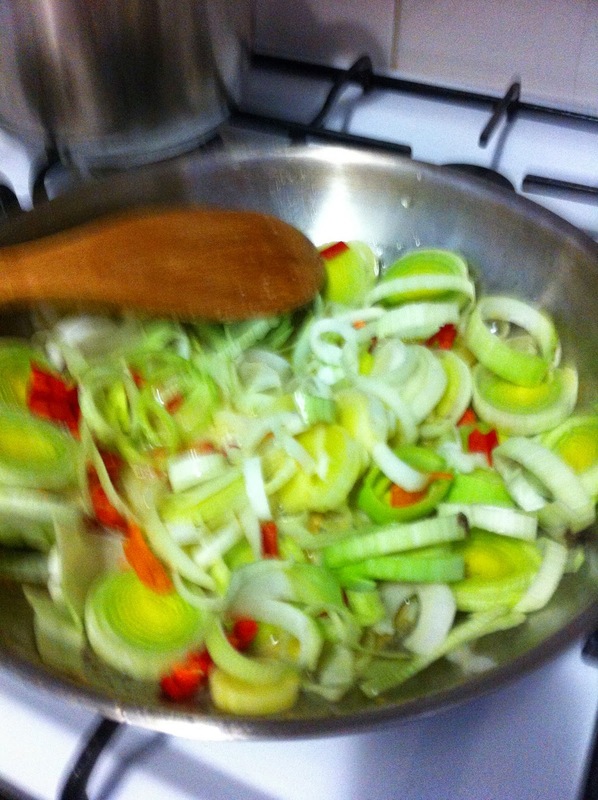 Add a finely sliced leek and a long red chilli, deseeded and chopped finely. Cook in butter, being careful not to let it burn. The recipe said one long chilli but I used two as we both like it. It gave a good tang without being overbearing and was great on a chilly night. Just before serving, stir in a handful of fresh basil and spoon sauce over the gnocchi. Serve with additional salad. We enjoyed them. The recipe was easy. It was a bit fiddly, so I may not make it often but it was something quite different and was also another recipe for a meatless meal. Oh that looks fabulous. 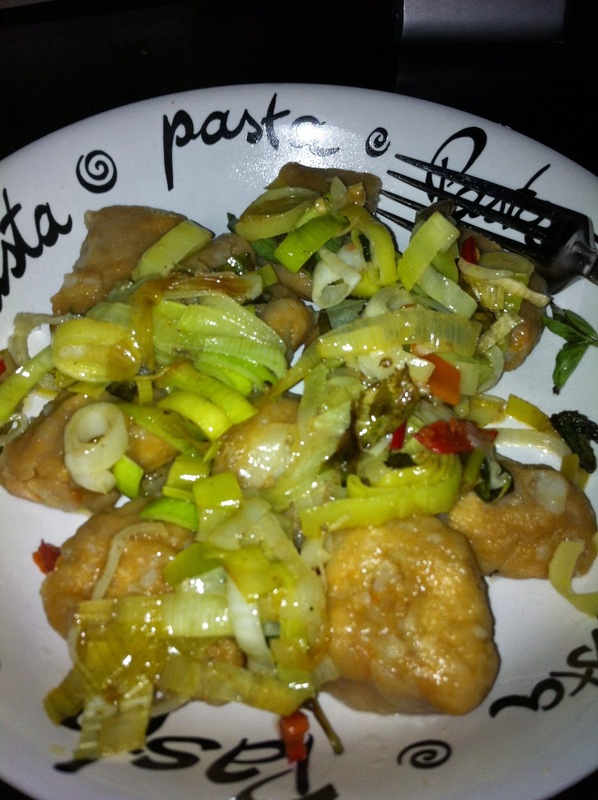 I love leeks but I have had Clag experience making gnocchi. I must remember to be gentle with the dough. Sounds delicious but definitely fiddly!